Islamabad (Staff Report/Agencies): The Supreme Court on Wednesday allowed Jamaat-ud-Dawa (JuD) and its humanitarian arm Falahi Insaniyat Foundation (FIF) to continue their relief and charity work in the country. A two-member bench of the apex court comprising Justice Manzoor Ahmed Mulk and Justice Sardar Tariq Masood rejected the federal government’s appeal against Lahore High Court's verdict. JuD's network includes 300 seminaries and schools, hospitals, a publishing house and ambulance services. The JuD and FIF alone have about 50,000 volunteers and hundreds of other paid workers, according to two counter-terrorism officials. Earlier, the United States (US) has expressed its concerns about Jamaat-ud-Dawa chief Hafiz Saeed running for office in Pakistan in 2018. The JuD that the US accuses of being a front for an anti-India militant group, entered mainstream politics when it formed a new party called the Milli Muslim League (MML) in August this year. 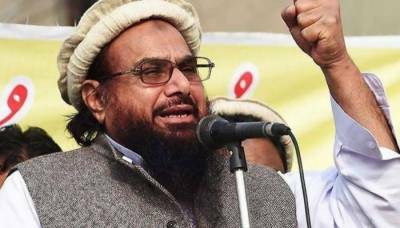 The party follows the ideology of JuD, which the US says is a front for banned militant group Lashkar-e-Taiba (LeT) and is run by Hafiz Saeed, the alleged mastermind of the 2008 Mumbai attacks that killed 166 people. Saeed, however, has repeatedly denied involvement in the attacks. Saeed was released in November this year after the Lahore High Court (LHC) rejected a government’s request seeking further extension to his house arrest. The review board of the court said there was not sufficient evidence to keep the JuD chief under house arrest. Saeed and four of his aides were detained in January 2017 after the government told a court they presented a threat to peace and security. The move was largely attributed to US pressure. In May 2008, the US Department of the Treasury dubbed Saeed a Specially Designated Global Terrorist under Executive Order 13224. Saeed was also individually designated by the United Nations (UN) under UNSC R1267 in December 2008 following the Mumbai attacks. The LeT and several of its front organisations, leaders, and operatives remain under both the State Department and the Treasury Department sanctions. Since 2012, the US has placed a $10 million reward for information bringing Saeed to justice.